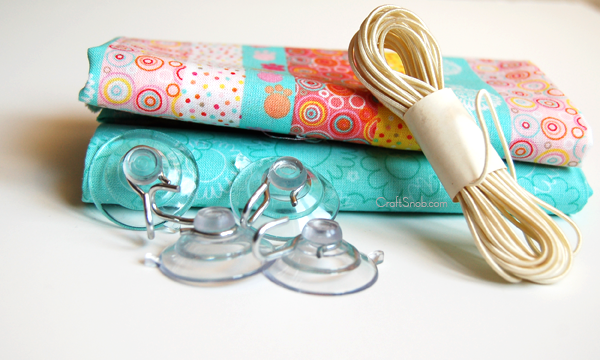 Hey crafters. 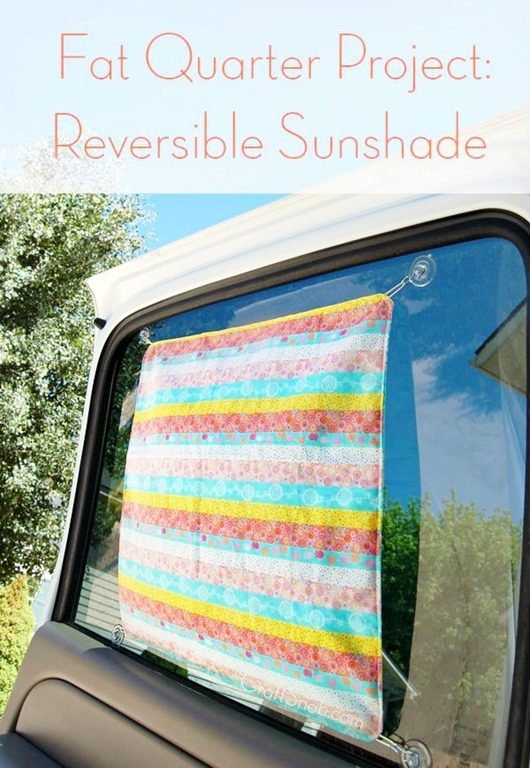 I’m Sara, creator at Craft Snob, here to share how to make my reversible fat quarter sunshade for your car window. Step 1: Iron and cut both fat quarters to 17 inch x 17 inch. Depending on the size of your car window you may want to make your sun shade larger or smaller. Step 2: Place the fat quarters right side together and line up all corners. Pin in place and snip the corners. Step 3: Cut 4 pieces of 3 inch long elastic. Fold each piece in half and insert one in each corner with the tails sticking out as shown. Pin elastic in place. Step 4: Sew on every side along the edge with a half inch allowance, leaving a 2 inch opening along one side. Step 5: Turn the shade right side out through the 2 inch opening. This is what your corners should look like now. Step 6: Iron flat and sew along the edge with a one-quarter allowance to close the 2 inch opening and create a polished, professional finish. Step 7: Place the suction cups on the inside of your car window and hook the elastic on all four hooks. Look out summer sun, we’ve got shade! Regardless of your level of sewing skills, my free Evie Carry All Trio purse pattern will surely tickle your interests. Or end your fabric flower drama with Your Guide to Fabric Flower Bliss. Thank you Kari and Becky for your hard work in putting the Fat Quarter Series together and making it happen. Especially thanks to U Create readers for your wealth of craftiness! 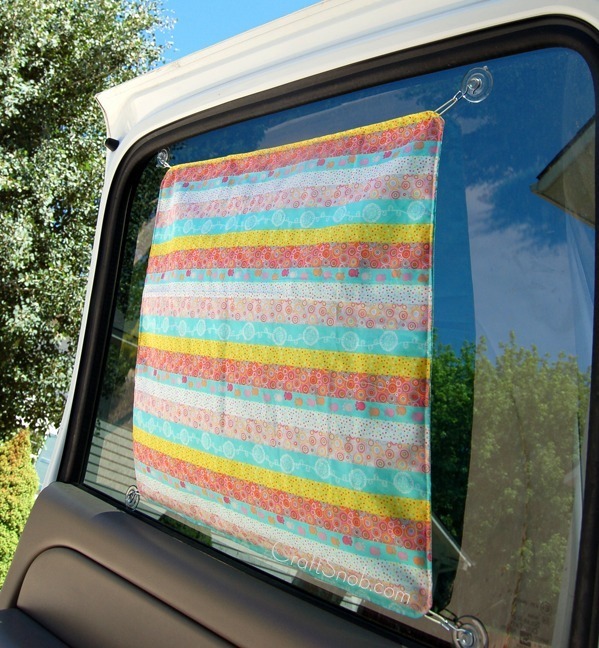 The Real Deal: This fat quarter sunshade cost less than $6 to make. Let’s connect on Facebook, Pinterest, and Twitter. Awesome! Anything special I should know about the elastic? 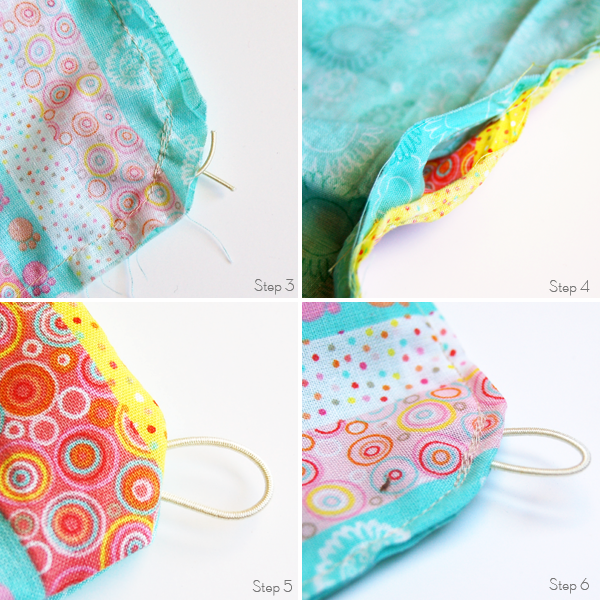 KK – I used the type of elastic in this tutorial only because it was on hand. Something larger would probably work. In the past, I have sewn over elastic too much and it ends up breaking. So just be careful to not sew over it too much. Thank you so much Sara for sharing this great idea!! Way cuter than the ones you buy from the store!! Definitely cuter! And thanks a ton for having me! What cute idea! Thanks for sharing! This is great! Our sun shades just don’t seem big enough and I didn’t even think about making my own. Thanks so much for sharing your idea. Love this idea now I can make them to cover my whole window when parked.